What perfect little cakes! All of those recipes sound amazing, and I can't wait to try them out. Divine! They look so pretty. These look delightful. I am going to unsubscribe but don’t worry, I have added you in Bloglovin. I am trying to keep my emails clear but will read your posts through Bloglovin as I really love them. So pretty and tempting! Love the light pink glaze. Lisa, these might just be my favorite cake post from all the ones you've baked so far.., The pomegranate glaze is incredibly gorgeous, and your photos... WOW! 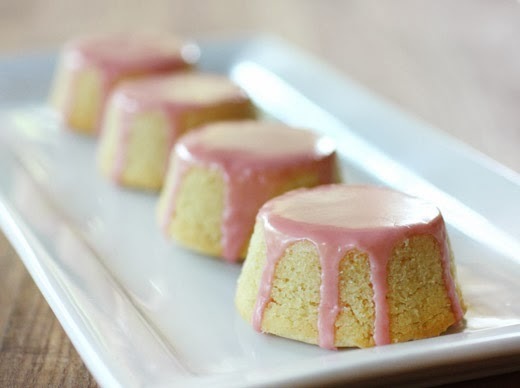 I think those little pink and yellow cakes are beautiful. Wouldn't they be nice for a baby shower? Thanks for the recipe Lisa. I love the pink glaze!!! Beautiful!! 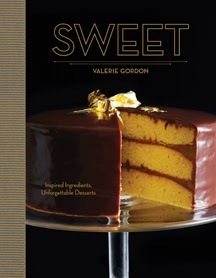 I was a big fan of Valerie's confections when I was in LA. I definitely need to get this book! the color of that glaze is fantastic! hooray for pomegranates--i'm beginning to appreciate them more and more. Oh Lisa, these little teacakes look so elegant and cute, I love the delicate color of it. Lemon and pomegranate...great combo. I want that book and I want one of these cakes! Just stunning! These would be perfect to serve at my friend's baby shower later this year! 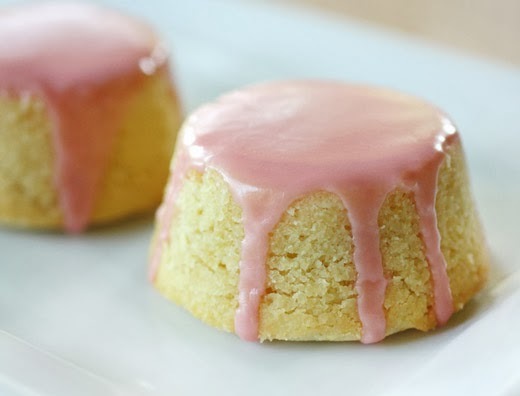 Love these cute and petite tea cakes. 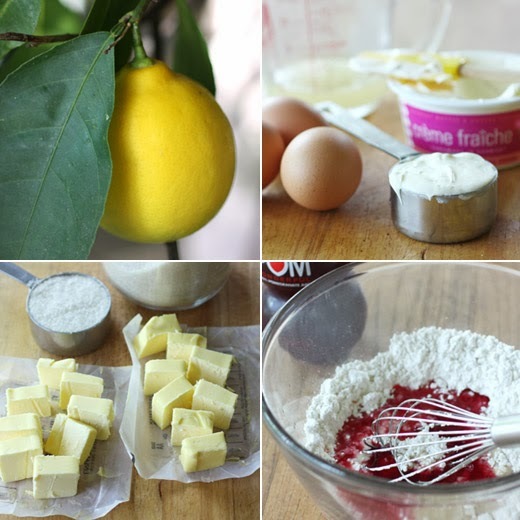 I am a die hard fan of citrus flavors in my baked goodies and this is an absolute winner. Thanks for sharing. We used to grow Meyer lemons when we lived in Florida - loved their flavor! These tea cakes look wonderful. And I love the idea of pomegranate glaze! Super nice recipe - thanks. You are making my wish list longer and longer! Another book I'd love to own. And the tea cakes are the sweetest little gems..so feminine! Of course this recipe is a winner too Lisa. I'm so glad you chose this one to share. The cakes look divine and I'm sure that pom glaze is just perfect! dear Lisa, These are beautiful. How wonderful that you have these gorgeous lemons growing in your backyard. The delicate pink from the pomegranate is perfect. And yet another book I'll be adding to my Christmas wish list!! Meyers and pomegranates are definitely my favorite winter fruits, so I love the idea of them combined into one cake! These are such gorgeous little cakes! Love the pomegranate glaze! I've had my eye on that book. When we get the Meyer lemons in, at whole foods they are so expensive, I always have to pass on them.